The Brooklyn Gypsies are a group of NYC based musicians/ producers whose creative influences draw from the constant shifting of an ever changing urban sociopolitical landscape while retaining their unique cultural backgrounds. The use of the term “gypsies” acknowledges the diverse international origins among the members & an urban nomadic nature of survival and expression within a city such as New York. The music is a fusion of such genres as: Arabesque, Flamenco, Reggae Dancehall and Eastern European grooves acknowledging a range of gypsy roots that pass through the members while being brewed in Brooklyn.. Although the collective does not claim relation to any specific ethnic group of gypsy lineage, their music pays homage to the rich musical ancestry of these cultures and more. Originating from Spain, Japan, Hungary, Italy & U.S.A. BK Gypsies truly represents Brooklyn’s diverse ethnic heritage and style. 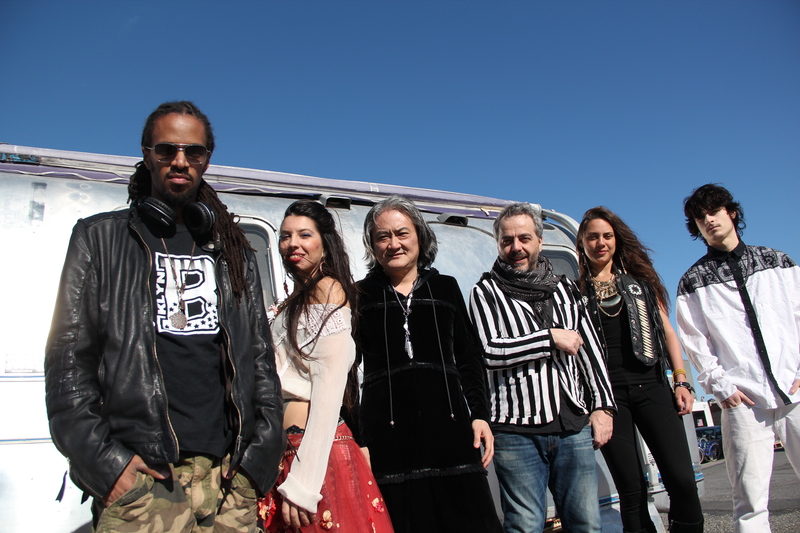 The gypsies came to be in 2012 within Brooklyn’s Studio BPM music scene. Members include: Carmen Estevez, Takuya Nakamura, Fatou Gozlan, Brandon Lewis, Troy “Mobius” Simms & Zeb “The Spy From Cairo”. After a number of collaborative projects between the artist were explored the opportunity to form a band that incorporated elements from each project arose.